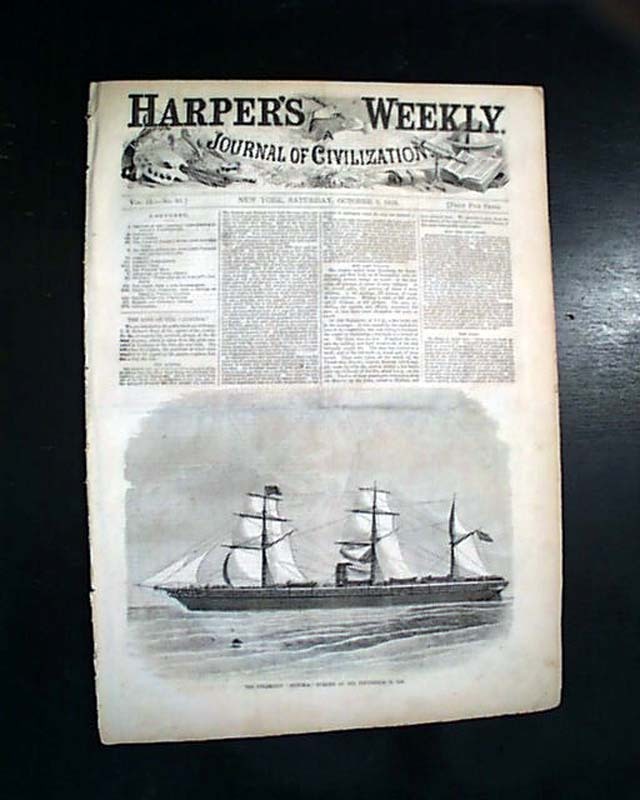 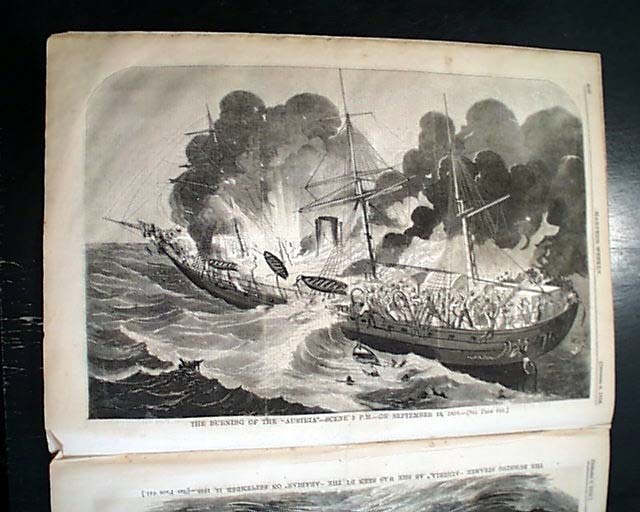 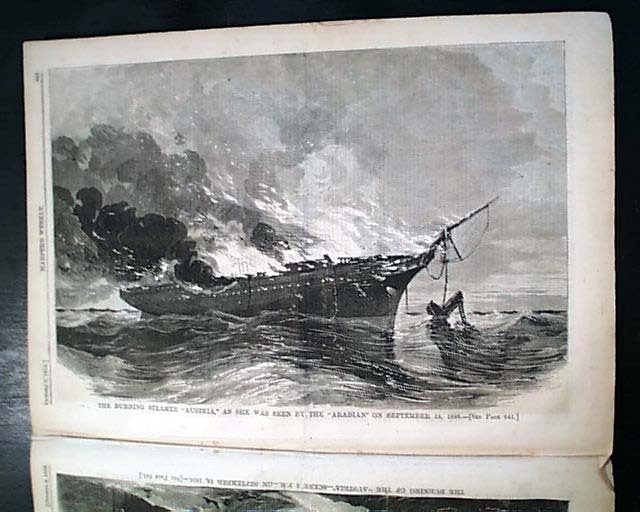 The front page features a print of: "The Steamship Austria, Burned at Sea September 13, 1858" with accompanying article plus two more full page scenes inside. 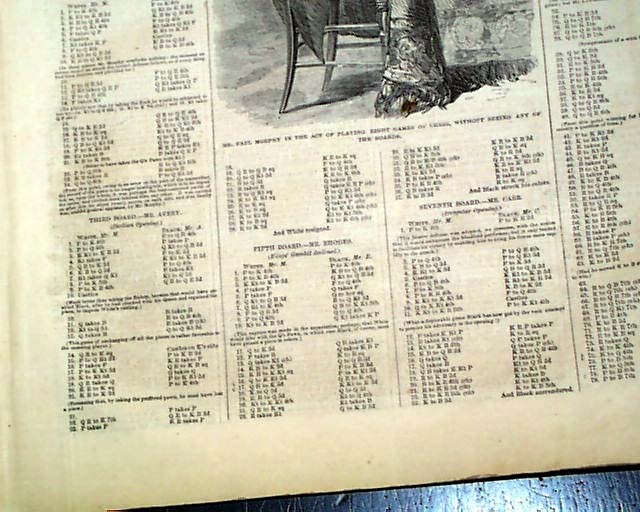 Two halfpg. 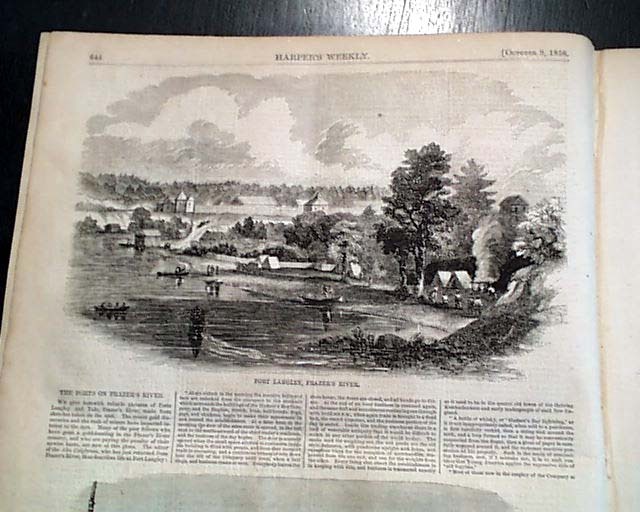 prints are of British Columbia: "Fort Langley, Frazer's River" and "Fort Yale and the Gold Hunter's Camp, Frazer's River". 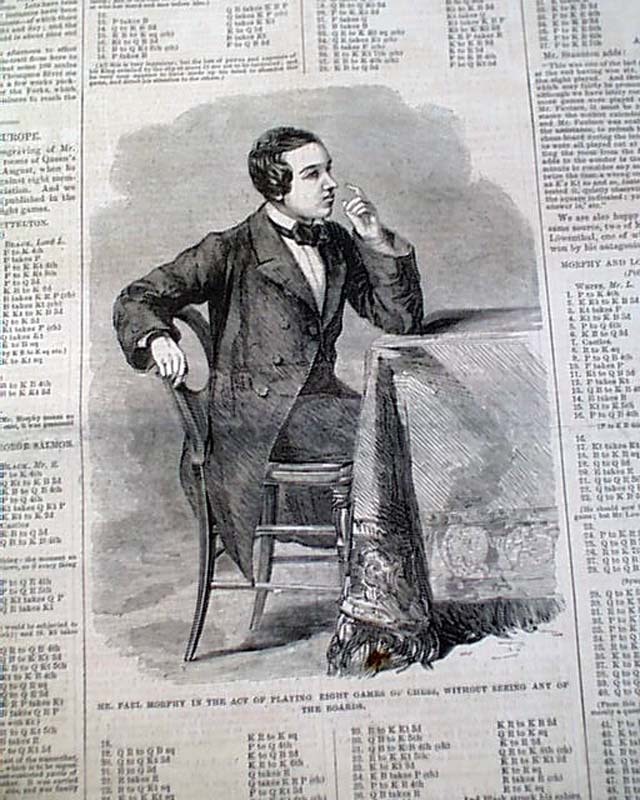 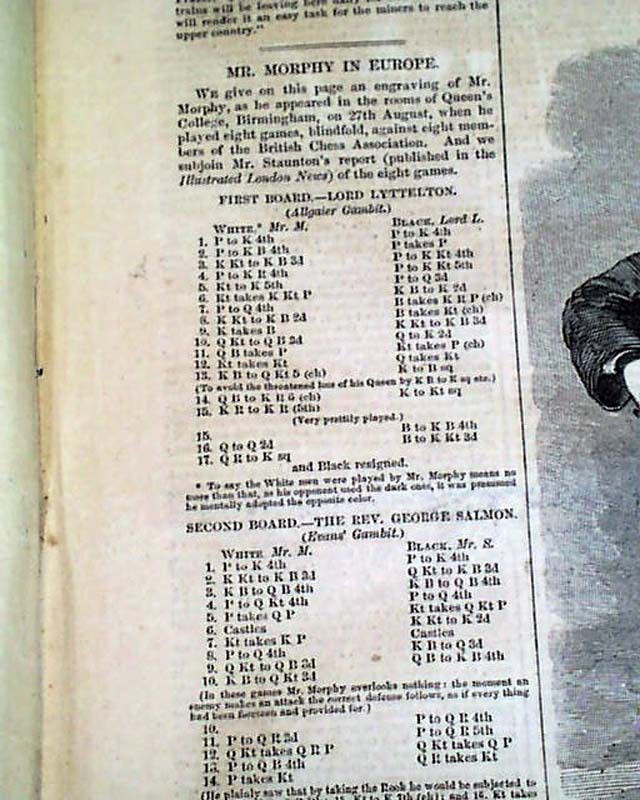 There is also a print of: "Mr. Paul Morphy in the Act of Playing Eight Games of Chess...", he being a very famous chess player. 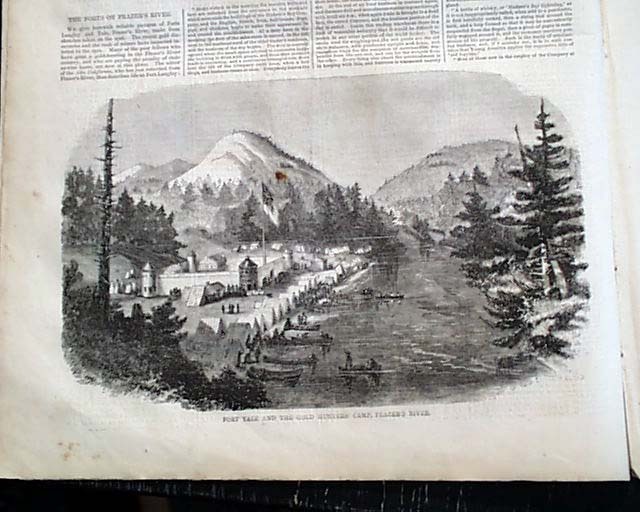 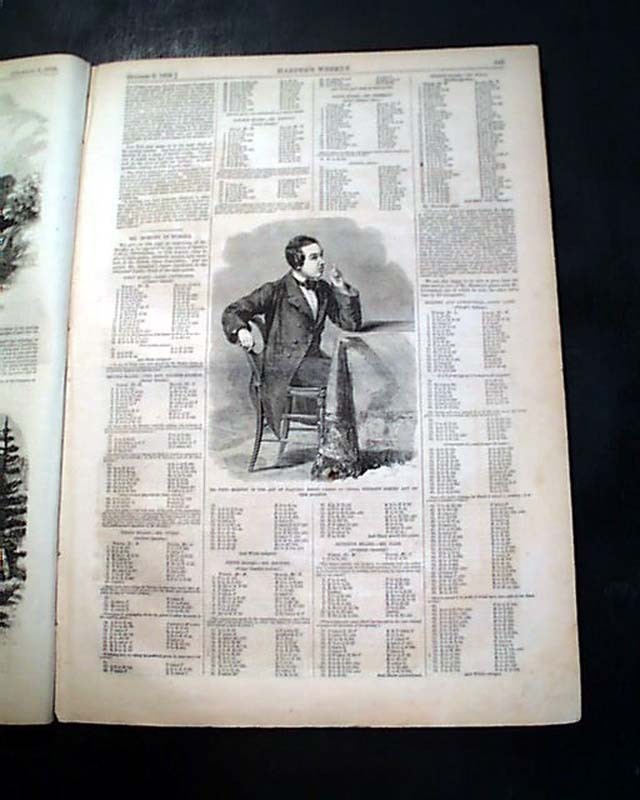 A half page is an early Mormon item: "Brigham's Shanties at Provo City", Utah. 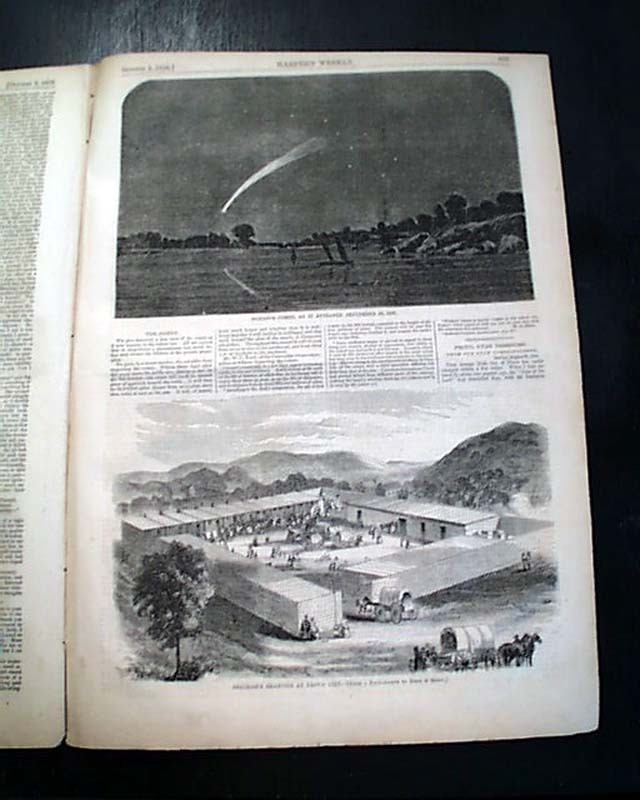 A half page shows: "Donati's Comet, as it Appeared September 30, 1858" with accompanying article.